My abs hurt. Not because I'm doing some fabulous new workout that is sculpting them into the six pack I've always wanted. Pretty much the opposite in fact. Since Monday, I have only worked out once. It consisted of a three mile walk on the treadmill and one round of 8-minute abs on Thursday. Hardly enough to make it hurt when I gingerly touch my rib cage. The sore abs are the result of constant coughing. I started to feel sick on Tuesday. I blame my post-marathon weakened immune system combined with being confined in an airplane with all sorts of germs for 5+ hours immediately after running said marathon. My congestion and achy body soon turned into a full-blown cold. It decided to settle into my chest the last few days, and I have been coughing like its my job the past 24 hours. On the bright side, if I'm going to be sick, I'm glad it's on a recovery week and that it happened after the marathon. Since I'm recovering and sick, there was no run for me on Saturday. So we took this rare break in my Saturday long run schedule to let the I Have Run team captain have a chance to run with the support crew for a change. It was fun being on the other side of things! I am looking forward to running again. When exactly that will happen depends on how my lungs feel in the next few days. My body is feeling recovered and ready whenever this cold decides to ease up a little. With Boston behind me, the next few weeks will be all about easy, enjoyable runs. It will be nice to have a little time with no training plan to follow. I'll also be adding more strength and cross training to keep myself healthy and injury free. During my down time, I'll be working on a new training plan for my September marathon. 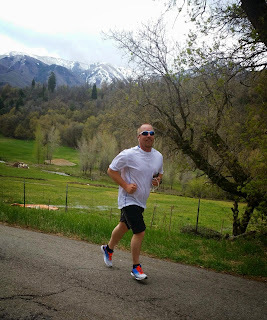 I want to focus a little more on speed and hills, both up and down. And between now and September, I have two half marathons that I will use as tune-ups for my marathon. These are sadly disappointing. I wanted them to be good. 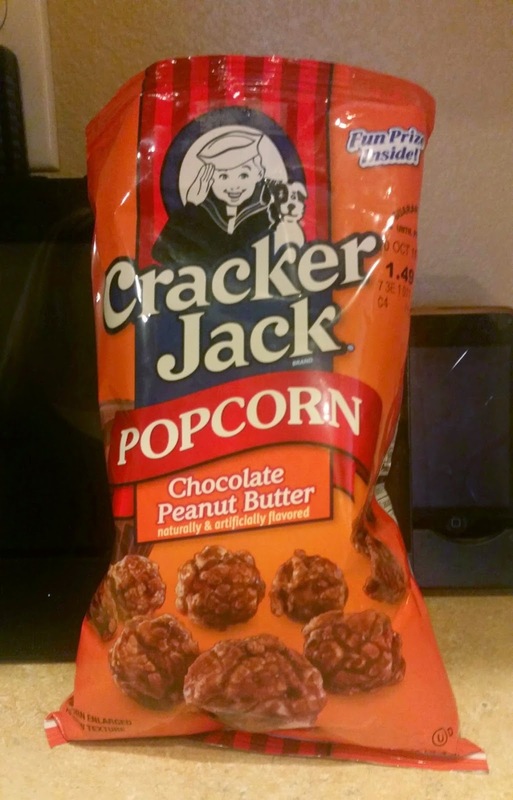 The problem is they took the original Cracker Jack popcorn and added the chocolate/peanut butter flavor on top of the caramel (or whatever the Cracker Jack flavor is because I'm not exactly sure). There's too much going on and not enough of it is the chocolate/peanut butter addition. So when you see them at your local convenience or grocery store, keep on walking. You're welcome. Get well soon! Congrats on Boston! I love the picture of the team captain getting his run on. I am sad about the popcorn. So much potential. I am glad you are feeling better. 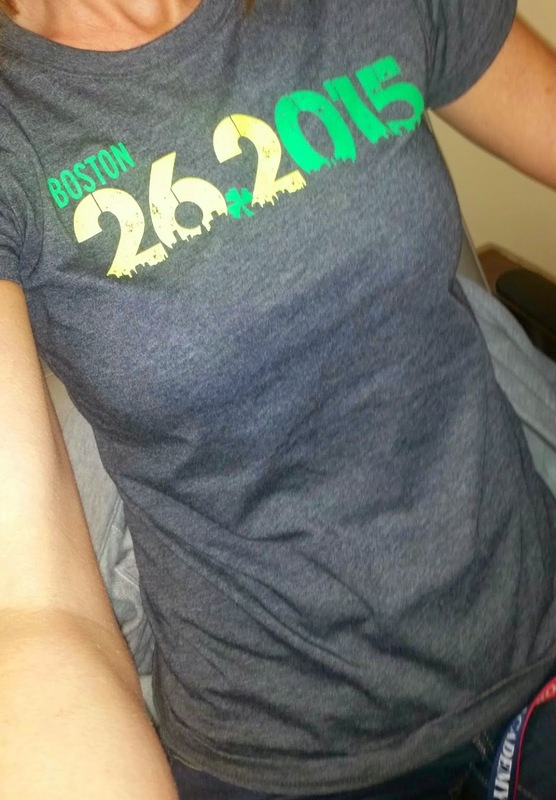 Being sick is lame, but I am definitely glad it came AFTER the marathon. Hey, I have a training plan all written up for BC. Starts June 1st. Maybe a miracle will happen and I could actually do it. otherwise I am gonna need a title and a role for team I have run's racing season. Keepin' it real with my "chubbies"